Powered by the 6th Generation Intel® Core™ i processors with vPro™ technology, the ThinkPad® L560 deliver the performance of a desktop computer while offering the mobility of a notebook.Its rugged design, enhanced collaborative features and enterprise-level security let you stay productive anywhere for up to 10.6 hours on a single charge. With their affordable price tags,the L560 are ideal for today’s demanding business landscape. 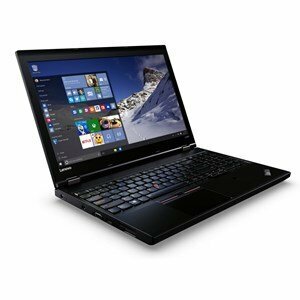 The Lenovo ThinkPad L560 20F1000YAU Laptop was added to the Laptops category in September 2016. The lowest price GetPrice has found for the Lenovo ThinkPad L560 20F1000YAU Laptop in Australia is $1,182.85 from Printer Barn. Other merchants who stock it are Printer Barn.